This is a Prey character profile guide. 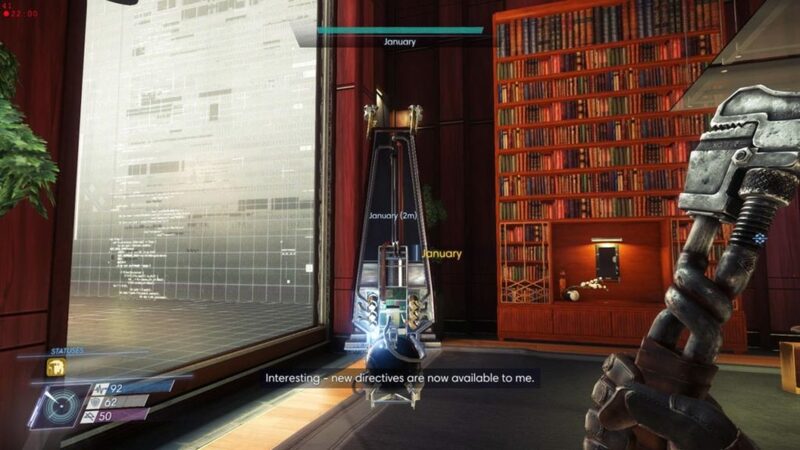 Here you will find details on January, a supporting character in Prey. An Operator on the Talos I that was reprogrammed by Morgan Yu to contain their memories in case they were captured and subjected to neurological experimentation again. While Operators were designated to attend to menial tasks aboard the space station, the outbreak of Typhon life forms would ultimately put most of them out of commission. Some of them may still provide some sort of assistance to Morgan, while others will be completely hostile and must be destroyed immediately. January is one such Operator, and will be essential to Morgan’s mission in the game. January uses Morgan’s voice and is basically how Morgan recalls everything that’s happened before their neuromods were removed. It inherited the moral compass of Morgan Yu, giving it directive to assist him in destroying the whole station. You can choose either to follow its directives or Alex’s ambitious tasks to decide the fate of Talos-1 and the humans and aliens inhabiting it.